Blogger and chef who is known for having written cook books and specializing in baked goods and other shareable family food. She shares both cooking tips and photos of her completed meals through her self-titled blog and Instagram for her over 40,000 followers. She graduated from the University of Texas School of Law and started her career working as an attorney for several major firms. She then decided to quit her job and pursue her passion for food and cooking. She started her blog in 2010. She and her blog have been featured in several press outlets including Bon Appetit Magazine, Marie Claire, Refinery 29, and the Hollywood Reporter. She was born and raised in Austin, Texas and often creates recipes and meals for her husband and children whom she talks about frequently on her blog. 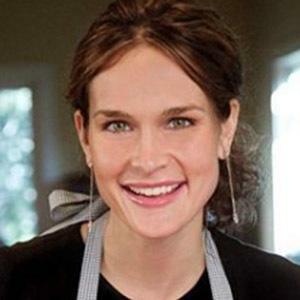 She has appeared as a guest on multiple occasions on the Rachael Ray Show.